Thank you for rolling high stamina scores for this one. Gamebook Authoring Tool 1.17 is finally out – and it’s a biggie. 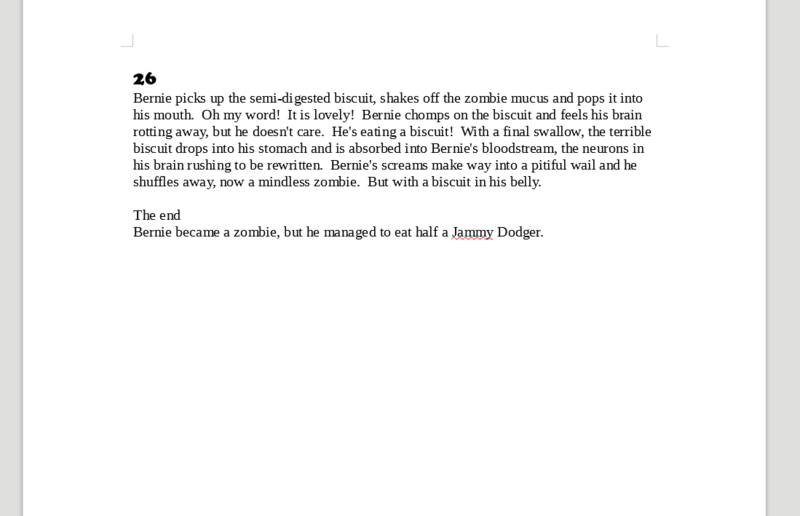 You know those gamebooks where you can play the Magical Ukulele of the Boogeyman by adding +20 to the current section and seeing if the new paragraph makes sense? Well, now you can do that. Tick the hidden box and the choice will no longer show up in your preview or your exported book. It does show up in your flow chart though, with a dotted line. Top tip: You can combine this feature with turning auto shuffle off for both the section where you use the item and the section it takes you too! It also shows up in your exported json/xml files if you’re a developer and you’re using those. Relive those Choose Your Own Adventures by making each section appear on a new page. This will work best when your sections are full of text. For shorter, snappier sections (Fighting Fantasy) you are probably better off sticking to the default continuous sections. This option will affect your book preview and your exporting – although only rtf export makes sense for now. My god, so many bugs. Thank you if you reported these. 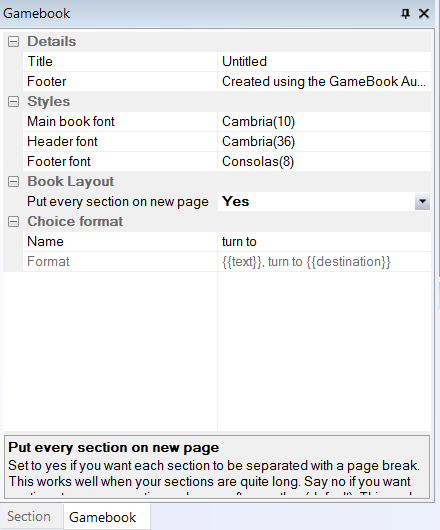 Download The GameBook Authoring Tool 1.17 for free today! Please share the word on your blog and social media. Thanks for all of your support! Where do we go from here? Let us know! Send ideas to ideas@crumblyheadgames.co.uk and if they get past the troll we’ll get them implemented!